It’s more than just our service mark—it’s what every patient and family member can expect when they enter our office. 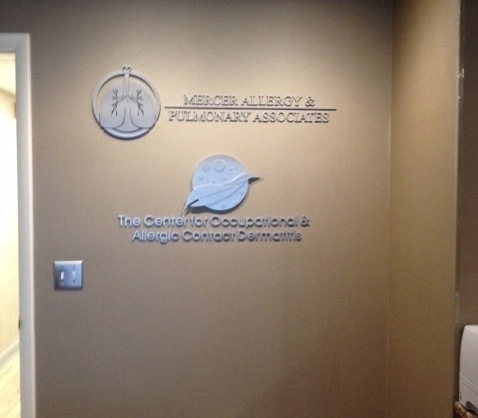 It's hard to believe that FOUR years have passed since we opened the doors to Mercer Allergy & Pulmonary Associates and The Center for Occupational & Allergic Contact Dermatitis. The success of our practice can be attributed to three groups of people---the patients and family members who entrust us with delivering health care; our staff of nurses, medical assistants, receptionists, and respiratory therapists; and to our professional colleagues and partners. Dr. Anthony Ricketti, Dr. Peter Ricketti, and the entire staff of Mercer Allergy & Pulmonary Associates and The Center for Occupational & Allergic Contact Dermatitis wish to thank you for sharing in this experience and we look forward to partnering with you in addressing your healthcare needs. ★★★★★"Best allergy doctors in NJ! Beautiful office, friendly staff, top-notch treatment. Highly recommended!" -- Carl C.
★★★★★"Dr. Ricketti is the best! His staff is wonderful. I couldn't ask for a better doctor." -- Darrea H.
★★★★★"From appointment to check in to intake to treatment, Mercer Allergy and Pulmonary Associates ensures that their patients are well cared for in all aspects of treatment. Each member of the team practices high standards of professionalism and compassion when working with a variety of patients. 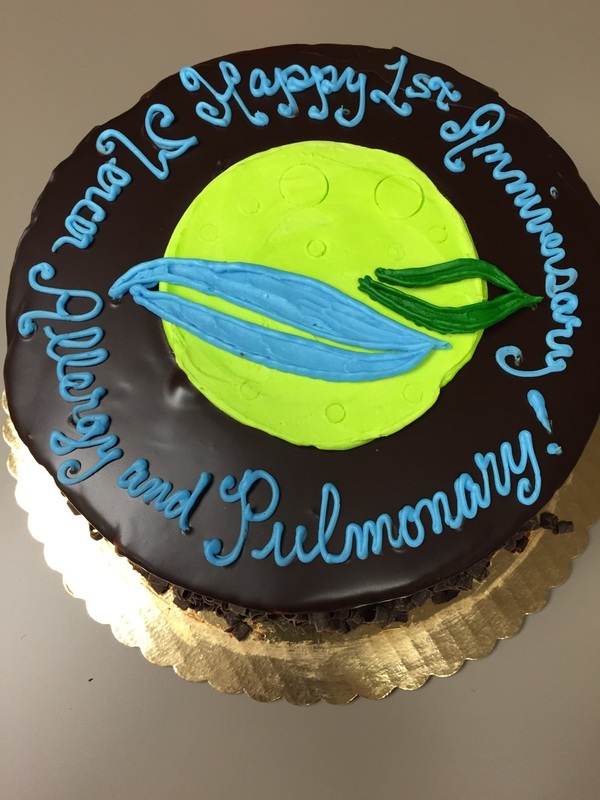 A beautiful office space coupled with an outstanding treatment team makes this practice the go-to for patients with assorted pulmonary diagnoses." -- Merina M.
★★★★★"Dr. Ricketti, the nurses and staff at Mercer Allergy & Pulmonary Associates are completed dedicated to your well being. They treat their patients with kindness, use the latest technology/techniques of medicine, and schedule appointments based on your availability." -- Erica A. ★★★★★"Congrats on your new office. My family sends you the very best in support as well as a thank you for taking care of us in such a professional and friendly manner, you are the best!!" -- Cheryl P.
★★★★★"Great practice. Professional and personable. Highly recommended!!!" -- Melissa M.
★★★★★"Amazing group that cares about their patients and practicing good medicine. Would highly recommend." -- Heather W.
★★★★★"Dr. Ricketti is the best!!!!" -- Donna H.
★★★★★"Wonderful place that I would recommend to anyone!" -- Lyssa J. ★★★★★"A great partnership. Look forward to visiting your new office!" -- Robin D.
★★★★★"I'm extremely please with my treatments, how they treat me and for the phenomenal doctors, nurse, the whole staff. My allergies are better thanks to Dr. Ricketti and his competent group of doctors, nurses and staff." -- Sylvia E.
★★★★★"I've always received the best care with Dr. Ricketti for my allergies and asthma. He spends a great deal of time with his patients and his knowledge is unsurpassed. The service and care have only improved in the last 18 months when he left his old practice. The new office is gorgeous (you feel like you're in a spa, not a beaten up old office!) and his nurses and staff are warm, welcoming, and go out of their way to make you feel important." -- Leslie S.
★★★★★"Great staff, great location." -- Maurice P.
★★★★★"Mercer Allergy has helped me with my allergy issues. My condition has greatly improved and I would recommend them to anyone." -- Christopher R.
★★★★★"Dr. Ricketti and all of the staff are dedicated to your well being from the moment you walk through their doors. Their passion to see you healthy is evident in their practice. Appointments can be obtained the same day you call!" -- Erica W.
★★★★★"Great choice for allergy issues. Highly recommended." -- J.S. ★★★★★"I have been extremely pleased with the service and the results of Mercer Allergy and Pulmonary Associates. The entire staff from the doctors to the nurses and the receptionists do what they can to make sure your needs are met. Plus they always have a friendly smile on their faces! Their facility is gorgeous, including a waiting room with a TV, magazines, toys for children and lollipops for when you are done with your allergy shots and need to wait before leaving. An outstanding practice that I have recommended and will continue to recommend to others." -- Ryan S.
★★★★★"I have been coming here for a couple of years and I am always treated with respect. The staff is always pleasant and are patient when providing information or asking questions. In addition the best part is that Dr. Ricketti listens to your history / concerns - no matter how long - they care about the health of their patients and don't rush you out of the office to see another patient. This is why I like them and would recommend them 100%." -- Danielle K.
★★★★★"I have been a patient of Doctor Ricketti's for over a decade. I am very satisfied with the quality of care I have received from both he and his staff. I actually use Dr. Ricketti as my primary physician." -- Obdulio S.
★★★★★"I have been going to him for 10+ years. I have severe allergy and asthma and he has it under control. His office always responds quickly to my requests with good information if necessary. Their staff is personable and competent. They are very accommodating and I highly recommend them." -- Ken S.
★★★★★"I have been receiving allergy treatments for several years at Mercer Allergy and Pulmonary Associates. Everyone on staff is very professional , personable and willing to answer any questions I've had about my treatment. Dr. Ricketti has always explained my treatment plan every step of the way. The nursing staff is the best of any doctors office I've been to. Just a really comfortable and friendly atmosphere as well as very knowledgeable . In addition, and most important, both of my parents were patients of Dr. Ricketti and his staff and I could not have asked for better or more compassionate care considering the circumstances. I highly recommend Mercer Allergy and Pulmonary Associates." -- Mario D.
★★★★★"I have been a patient at Mercer Allergy & Pulmonary for a few years. I receive injections monthly. The staff is friendly, knowledgeable and professional. The new facility is very comfortable, clean and a pleasure to visit." -- George B. ★★★★★"Dr. Ricketti and staff are very professional, courteous and kind to everyone I see come to their office. I've been a patient for over 14 years and will recommend them to friends and family." -- Sonja C.
★★★★★"I've been seeing Dr. Ricketti for allergies and asthma, and my experience has been nothing but wonderful. The nurses and front desk staff are awesome." -- Jackie G.
★★★★★"Pleasantly surprised how clean and welcoming of the office atmosphere. Very professional and friendly." -- Lisa Z. ★★★★★ Ratings also received from Susan A., Sarah P. and Ashley G.